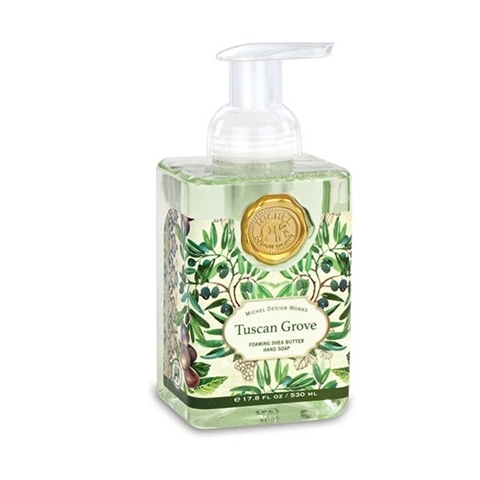 Michele Designs Tuscan Grove Olive Oil & Shea Butter Hand Soap Foamer. 17.8 Fl. Oz. Tuscan Grove foaming shea butter hand soap. Special formula with shea butter and aloe vera to gently cleanse and moisturize.